Anybody that really knows me knows I want an Airstream Bambi trailer. I have been in love with them since I was a kid. So, I thought I would do a post on the classic American Airstream travel trailer and kind of live my fantasy. Airstream trailers came on the road in 1932. They were built in America and built to last. 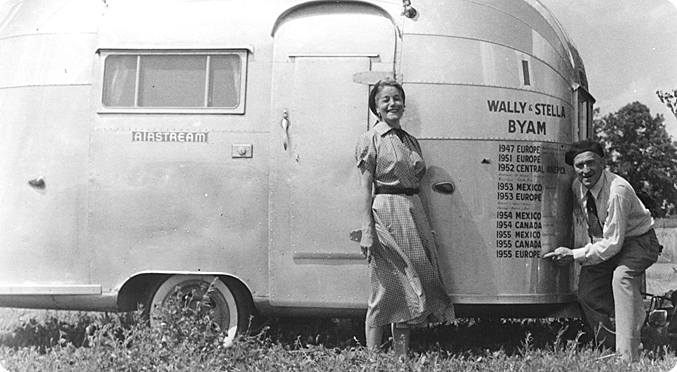 Wally Byam was the visionary and designer. After erecting a tent on a Model T Ford chassis, he then built a tear-drop-shaped permanent shelter on the same platform with an added ice chest and kerosene stove. This led to the Aluminum Clad Airstream trailer. He was a man who wore Wellies, a blue beret that he got in France, and a plaid shirt. Wally was rockin the fashion scene. Airstreams have become hot items and some of my favorites are the rehabbed redesigns, which is exactly what I want to do with one. I love architect Mathew Hoffman’s 1970’s Airstream rehab. 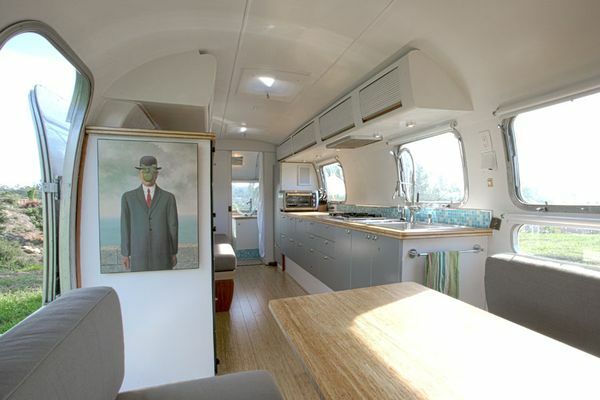 The Hof Arc team also redesigned a 1985 Airstream for client Delivering Happiness. Love the wood walls! This Mom cave designed for a Malibu Mom for her office and guest house is absolutely fun. 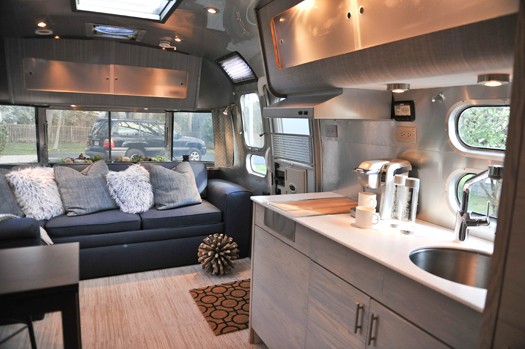 I need a Airstream Mom Cave! Courtney’s Good Cottage rents luxury Airstreams for the Production Industry complete with Vera Wang china. So next time you want to make a movie you’ll know where to stay. 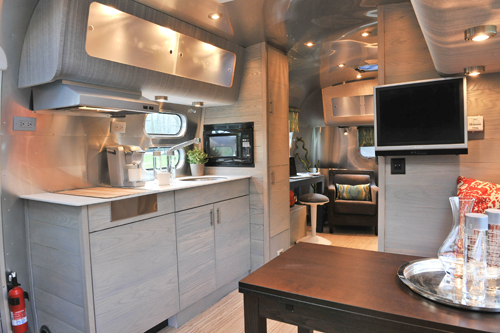 Do you have Airstream fever? I do. ← Black, White & Pink, Designing a small space.